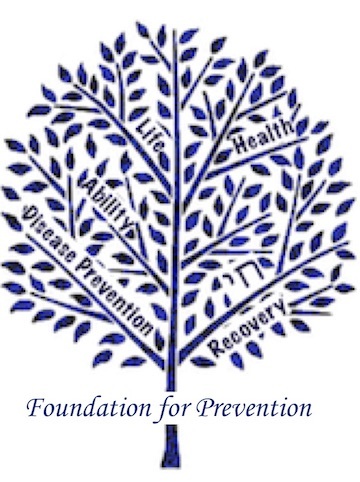 The Foundation for Prevention is a not-for-profit 501c3 organization dedicated to promoting disease prevention methods that work. The leaves within our Tree-ofLife logo list many of the things we care about. Our priority is the reversal of the current epidemics of diabetes, obesity and the metabolic syndrome. Teaching people how to make choices that will restore them to health. Training health-care professionals at all levels, so that will be able to teach their patients using methods that work. Advocating for openness and honesty in food processing, so that consumers understand the dangers of hidden ingredients that may be detrimental to their health. Bringing mainstream medicine into harmony with non-pharmaceutical interventions, when they are effective. Helping localities and industries bring better health to their communities. Encouraging pragmatic research demonstrating prevention methods that actually work.